WordPress is one of the most preferred blogging platforms due to its flexibility and powerful features. A standout feature is WordPress’ themes, which are highly customizable and allow you to design your website to match your brand. If you’re web-savvy, you can create your own WordPress theme and upload it for personal (or public) use. But if you’re not a website designer, or you only know the basics of HTML and CSS, then choosing the perfect theme is crucial to your site. Though there are WordPress themes that you can use for free, don’t rule out the premium themes. Premium WordPress themes allow you more ability to customize than the free layouts, which tend to be more clean and simple. Remember: the design of your site should help you stand apart from other websites and should also make a positive impression on your visitors. A well-structured theme also helps your website rank well on major search engines — this is helpful, especially if you’re looking to gain more traffic to your site. So now is the time to begin sifting through WordPress themes. Almond gives you the freedom to focus on your content – the king of your blog and enhance it with elegant pictures. Wow your readers with your expert contents that are designed by our talents & passions. Love to remind you that Almond is created by an Elite Author of ThemeForest market, our codes are clean, secure and SEO friendly. More over, we also do researches to find out which a blog needs to have, so, you can be confident to install & customize with our Almond. Almond provide regular updates, detailed documentation and topnotch support service for this blog WordPress Theme and it’s easier to find the answers to all of your Almond related questions. Your visual content will only get bigger because it has been growing for years and appears to be speeding up. Your audiences love to share your content with the world via their social media like Facebook, Twitter, Pinterest. It’s awesome, huh? 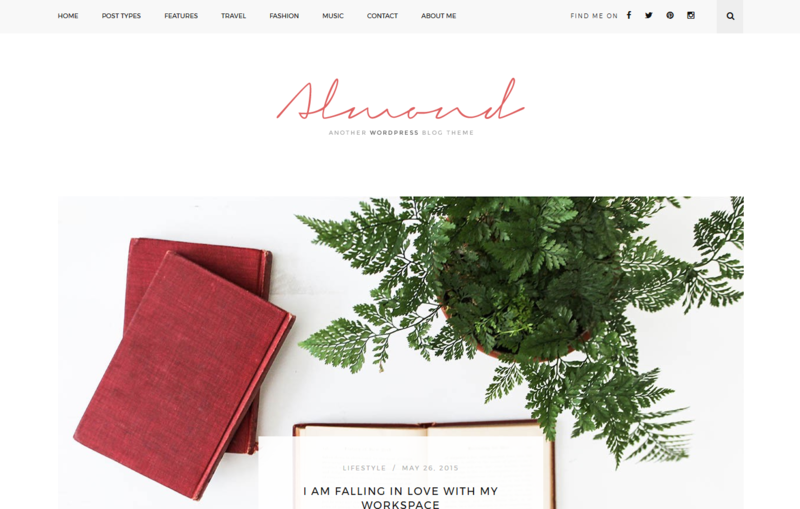 Wellow is a professional, Clean & Personal Blogging theme. Perfect choice for your personal blog, niche blog, corporate blog, marketing blog, authority blog or any type of creative blog or simple magazine. It is highly customizable so it can match your personal taste and be quickly converted into a multi-purpose theme as well. Enjoy Wellow’s Awesome features such as both sidebar & full-width layouts, a variety of post layout options, numerous sidebar & footer widgets, and plentiful colors, backgrounds, general theme options, we also include a full-width Instagram footer area, unlimited headers & footers and featured posts sliders. If you are going to start an awesome blog, why not impressing your readers with Cashew’s look? It penetrates your audiences’ minds and know exactly what they really want to see in your blog. Of course, your content is the King, so let’s dress Him accordingly. That’s how to start your fantastic story with Cashew. Hi Harry, thanks for sharing helpful collection. 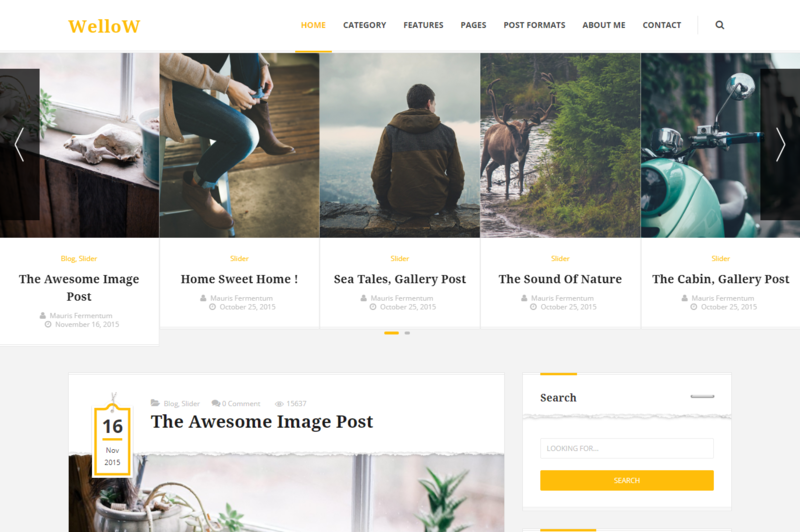 You can add Mine WordPress Theme in your list too. 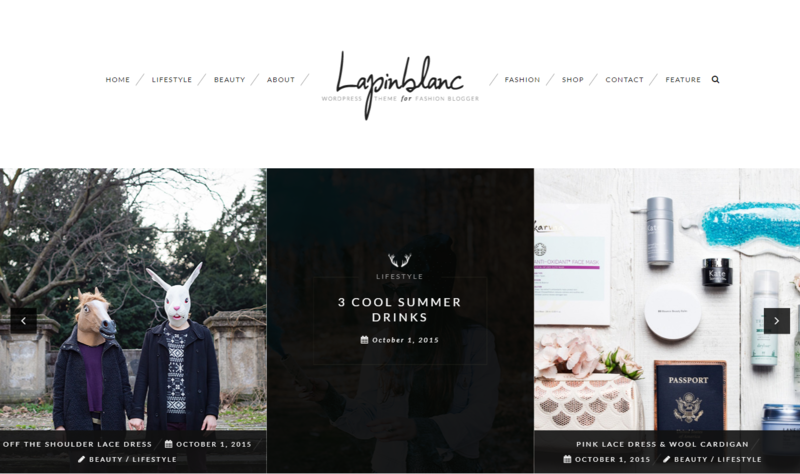 This free blog theme is great option for personal blogging. It comes with fascinating live customizer, left-right side bar, multiple color options, etc. It will encourages you to share experiences to the world. Thank you for sharing this nice list Harry. I am using Phlox for some of my clients. It has some perfect demos, and it is fully customizable and I suggest you to add it on this collection.